Schengen visa is a special document that allows a Schengen visa holder to travel freely within the 25 Schengen zone member states. (See here for a complete list of Schengen zone members.) The Schengen visa is a document that is intended to make traveling between and to the Schengen zone member states easier. Schengen visa is available in categories A, B, C, D, D+C (see Schengen visa categories for more details). How do I benefit from Schengen visa? What does it mean to you in the real world when you hold Schengen visa? Holding the Schengen visa means that you can travel to any of the Schengen zone member states using one single visa which avoids the bureaucracy of obtaining individual visas for each country. So, if you wish to do a tour of Europe, you just need one "stamp" in your passport called the Schengen visa. This really does make a huge difference to your travel plans. Travelling can be easy with the help of Schengen visa. Schengen visa is issued to citizens of countries who are required to obtain a visa before entering the Schengen zone. You can find more details about countries whose citizens require or do not require visas to enter the Schengen zone here: Who needs Schengen visa. Note: Europe is not the same thing as the Schengen zone. See the list of states that are members of the Schengen zone.). When reading the list of Schengen zone countries, please note that the UK and Ireland are not a part of the Schengen agreement and thus the Schengen visa does not apply to them. Can I work in Europe with Schengen visa? Schengen visa is valid for leisure and business travel only. The Schengen visa is a “visitor visa”. When having the Schengen visa, you are allowed to enter all member countries and travel freely throughout the Schengen area, but you are not allowed to work. The Schengen visa holders are not allowed to live permanently or work in the Schengen zone. For how long is Schengen visa valid? The Schengen visa allows the Schengen visa holder to travel freely within the Schengen countries for a maximum stay of up to 90 days in a 6 month period. This means that once a Schengen visa holder has been in one or more Schengen visa countries for 90 days, then he or she must remain outside ALL the Schengen member states for at least 90 days. Extensions to the Schengen visa can be very difficult to obtain; therefore, it is important to plan your journey within the timeframe of the Schengen visa. If you stay in the Schengen zone past the duration of your Schengen visa, you can be deported and banned from future entry to the Schengen area! The first step in obtaining the Schengen visa is to download the Schengen visa application. The Schengen visa application is available on the Schengen visa application page which can be found here: Schengen visa application. You apply for the Schengen visa at the Embassy or Consulate of the Schengen country where you spend the most time. In most cases, when you apply for Schengen visa, you get one-time entry Schengen visa. You can use them to enter the country only once. A multiple entry Schengen visa allow the Schengen visa holder to enter the Schengen area country as many times as the Schengen visa holder likes within the Schengen visa expiration date. You can use the multiple entry Schengen visa for example to return to the UK and then re-enter the Schengen area at a later date. When you look at your Schengen visa, there is a line that says "valid for". Take a look at this Schengen visa image. Depending on what it says on this line, you can travel either throughout the whole Schengen zone or just within the specific country for which the visa has been issued. Etats Schengen (= "Schengen Countries" in English) or any of the translations below means that you can travel in the whole Schengen zone. Schengener Staaten, Schengen Staates, Schengen-staterne, Schengeni riigid, Schengen-valtiot, státy Schengenu, schengeni államok, Stati Schengen, Šengenas valstis, Šengeno valstybėse, l-Istati ta' Schengen, Schengenstaten, Państwa Schengen, Estados Schengen, schengenske države, štáty schengenského priestoru, Schengenstater. See here for more on Etats Schengen. 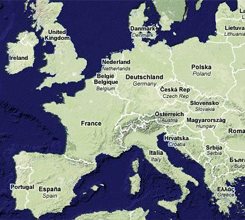 Even though Schengen zone countries are in Europe, do not confuse the Schengen zone with Europe or the European Union. Schengen zone and European Union are two different areas. See here: Schengen zone countries versus eu member states. Take a look at what eurozone is too. The Schengen visa applies to the Schengen zone (See Schengen agreement). Basic fact: The Schengen visa is a document that citizens of some countries need when traveling to most countries in Europe. The Schengen visa is a document that allows a Schengen visa holder to enter ALL countries in the Schengen zone.